To register for programs, you can either register in person here at the HCC front desk, or you can register online. To register online, you will need to create an account at the Vancouver Parks & Recreation website, or sign in with your existing account. If you cannot sign into your existing account, follow the instructions provided in case you forgot your password. If your account needs to be reset, phone 3-1-1. Hastings Community Centre programs are listed on the Parks & Recreation website. To find the programs you want to register for, enter your terms below. Your search results will in a new window, where you can browse and register for our programs. 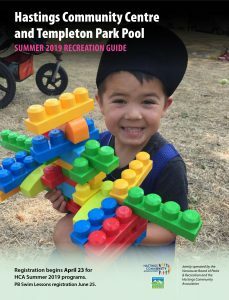 Follow the links below to browse and register for our Winter/Spring 2019 programs on the Vancouver Parks & Recreation website.